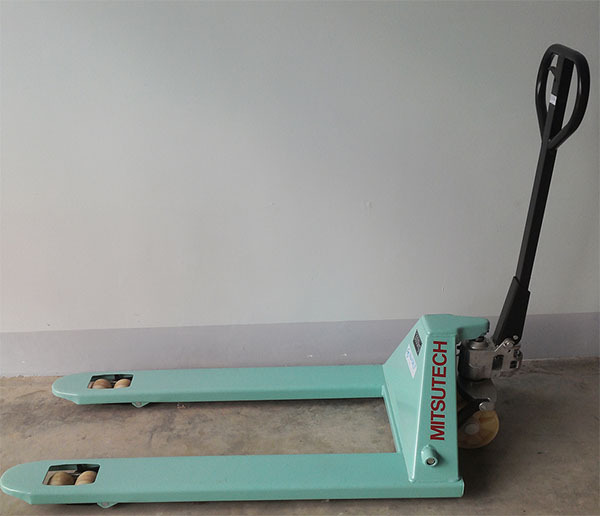 The Mitsutech 3000kg hand pallet truck is designed with rugged, rigid chassis and hydraulic clamps, which are strictly controlled by Japanese standards. The car is simple, easy to use, no noise, does not affect the surrounding environment. - Easy to move wheels You need a more compact car.